Mortuary Blood Jars and Other Collectibles To Die For. Pick & Grin from Antiquips brings you bizarre finds. 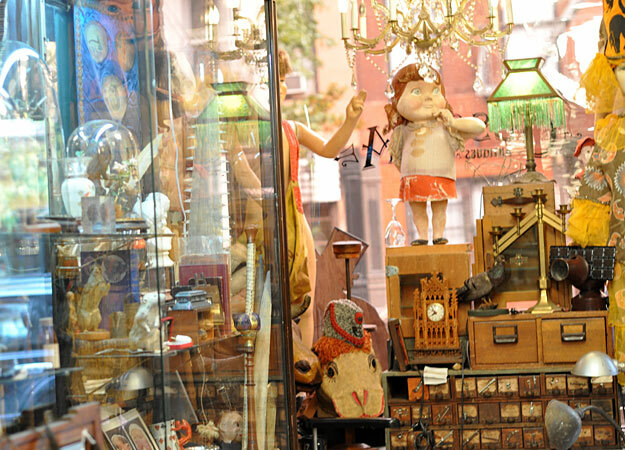 Part of the joy in collecting or selling antiques and collectibles is the people you meet. Sharing the stories of the hunt, the success in finding a super item at a great price or selling one for a king’s ransom. Mistakes are forgotten, and the next great find is only a matter of time. “What do you collect?”, can start an hour of conversation. So it is when we stop at a consignment shop called DJ’s Antique’s in Greenfield, Wisconsin and engage in a bit of chit-chat with Don the owner and Trisha, whose claim to fame is properly displaying the latest “must haves”. 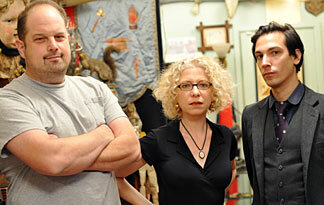 Her own passion in collecting is rather unusual, funeral or death related items. 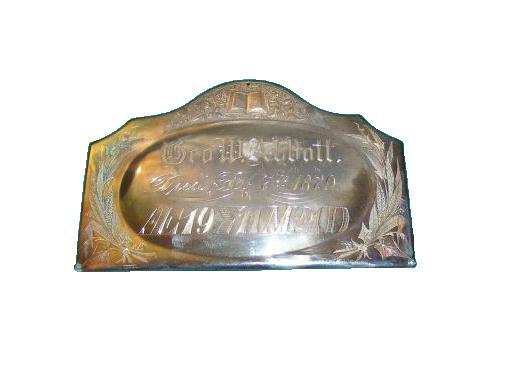 Now any old collector/seller has something in that category or at least Pick had some large ornate casket handles, a casket plate and some cabinet photos of funerals. Pick: I purchased the handles in the last century to be used as a towel bar, but!!! Grin: I know that “but”, I just never got around to getting them up. Pick: That better be the only thing you don’t get up. Pick: I decided to offer that stuff to Trisha for her collection. That’s why your recent purchase of blood jars came as a surprise. I couldn’t tell if you were a serious bidder when the pair of red amber mortuary bleeding jars came up for auction at our last visit to Bailey’s Honor Auctions held in Wisconsin. 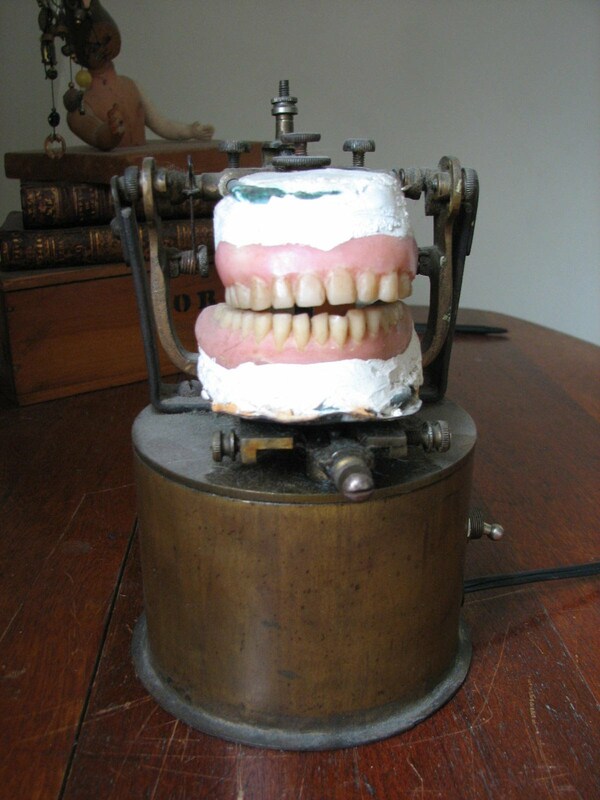 Grin: I had looked at them during preview when auctioneer Carol Miller was explaining that they came from an estate and were called “mortuary bleeding jars.” Their cone shape, and old rusty wire hangers drew my attention. I spotted the pair and considered the shape to be unusual even without the provenance. The color was also unique. They first appeared amber, but holding them up, the color looked redder. 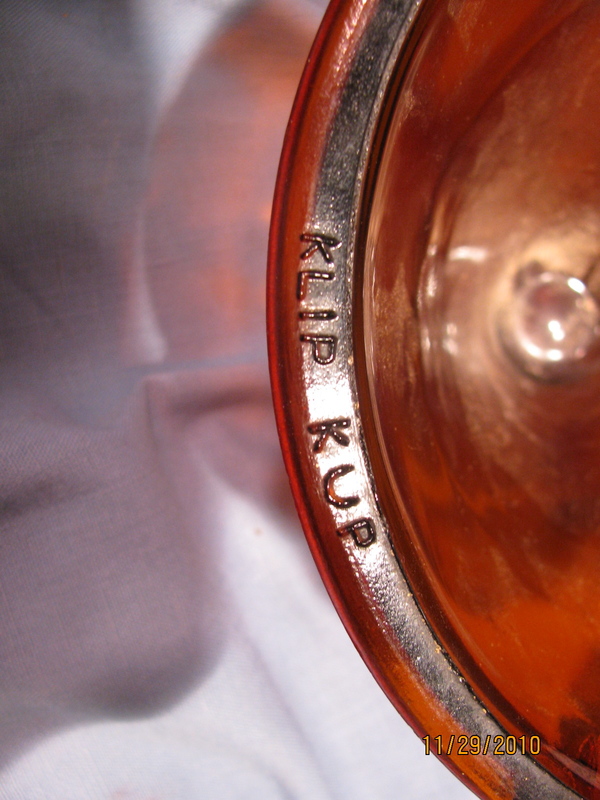 The only markings are on the rim and it reads “Klip Kup, Patn. Applied For.” And on the flattened bottom end, it has the initials MP. 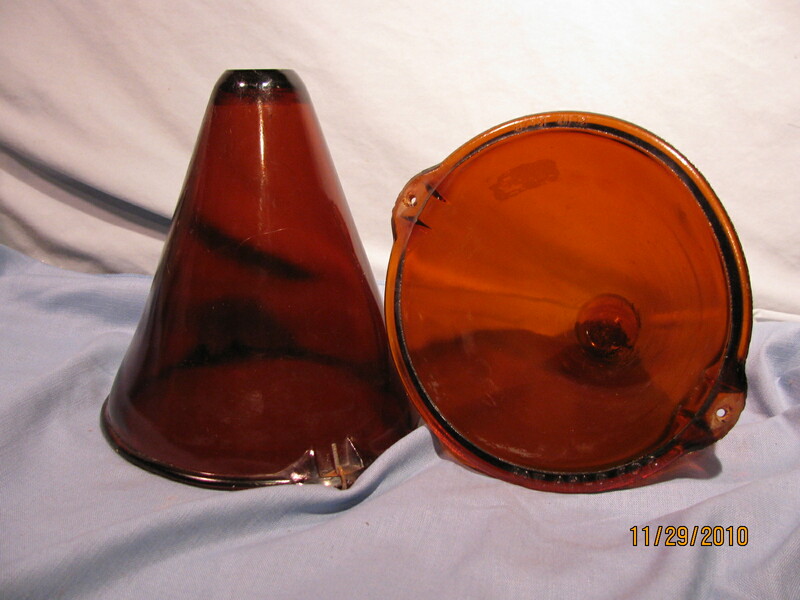 Pick: I can’t find one single item or any reference to these two glass containers on line or in books. Grin: Nor can I. But when the bidding was still within reason and the other bidder dropped out I was the owner of two used blood bowls. We had discussed our strategy before the auction trying to curb our enthusiasm for only the most unusual items to fill our antique mall case and on-line stores. Now what could be more interesting than mortuary jars? 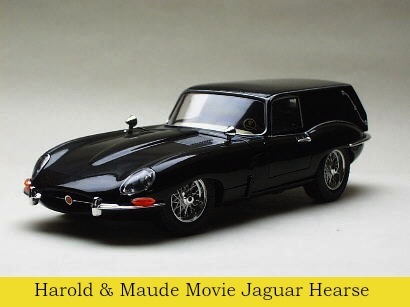 Pick: The Jaguar Hearse used in the movie Harold & Maude. Grin: You’ve got me there. Posted on November 29, 2010 October 31, 2011 Author AntiquipsCategories Decorating, Entertainment, The Hobby Of CollectingTags antiques, Bleeding Jars, Blood Jars, Casket Handles, Christmas, coffins, collectibles, collecting, funeral, glassware, mortuary, Movie Collectibles, vintage5 Comments on Mortuary Blood Jars and Other Collectibles To Die For.